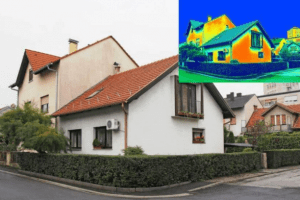 Is Your Wall Insulation Working? According to recent studies, up to 35% of your home’s energy loss is through your existing walls! SprayiFoam has the answer to STOP the energy loss through your walls with RetroFoam wall insulation. Traditional insulation, like fiberglass and cellulose, break down over time, trap dust and moisture and don’t stop air leaks so your home constantly leaks air. When your walls are not properly insulated with RetroFoam your HVAC systems have to work overtime, causing your energy bills to rise. Many times, we are asked what makes RetroFoam better than standard insulation. RetroFoam is a better solution than your standard wall insulation because it has a higher R-Value, maintains that R-Value at all temperatures, stops drafts and air leaks so your home stays at a comfortable, consistent temperature. Reducing drafts will not only increase your comfort, it will increase your savings with more cost-effective heating and cooling bills. As an added bonus, RetroFoam doesn’t break down over time, or change shape, keeping your home protected indefinitely. RetroFoam wall insulation can provide great benefits to you and your family, and it will preserve the investment you’ve made in your home. RetroFoam wall insulation is the home improvement that PAYS YOU back! Can I Get RetroFoam in My Walls? YES! We can insulate almost any home with RetroFoam. Whether you have vinyl, wood, brick or any other type of siding we can typically install RetroFoam! 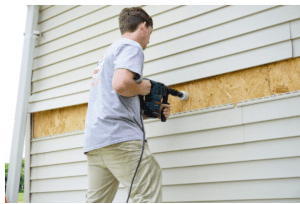 The installation process might vary slightly depending on the type of siding but almost every home can benefit from RetroFoam. How Do I Get RetroFoam? If you are ready to start reaping the many benefits of RetroFoam wall insulation then request a FREE estimate on our website or by calling at (334) 380-9550!